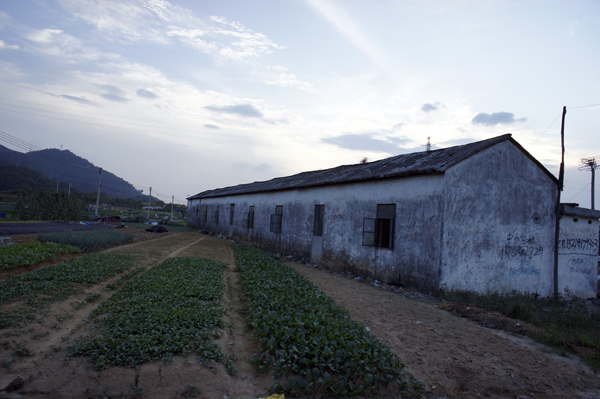 One evening, as I was wondering through the natural forestation surrounding the factory area, I came across what was best described as a farming “village”. It felt surprisingly genuine, maintaining an unusual dignity across a 10 minute walk from the bustle of the factory snack streets and the temple worshipers. I was as enticed. Soon I came across my first shock. A tour group, of jaded young factory workers were wondering through the land leisurely watching the farm life. Many of them held hands as they strolled across the dry, weathered soil as if they were on a date in an aquarium or at a zoo. This was the Hameau de la Reine for factory workers! It’s a little far-fetched to compare factory workers with the French queen Marie Antoinette but this makes a lot of sense if we think about it. 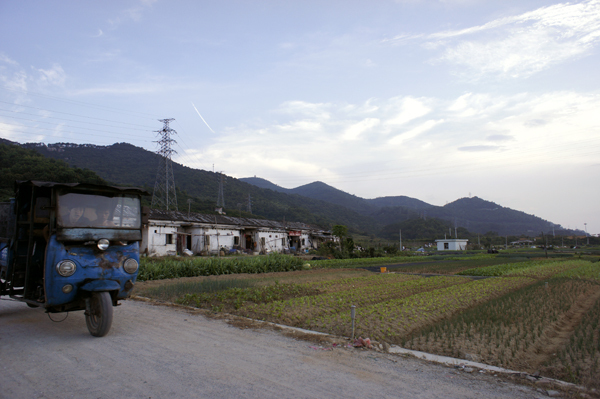 A large population of the workers in Shenzhen would have come from country villages at a fairly young age. Many workers would have developed a nostalgia for their childhood surrounding once they became wiry of the industrial demands from their new urban lives. The once aspired city-dweller urbanite had other, unforeseen dreams. A visit to the their homes would mean costly presents, long-distance travel fares and weeks out of work. The answer was pretty clear: for the workers, the money was too good to leave and move back home, why not build a weekend retreat nearby! 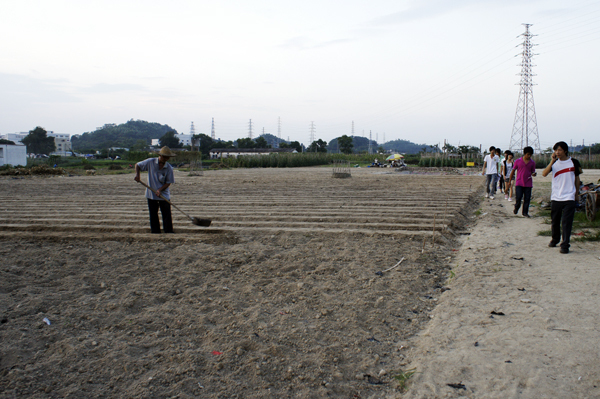 This was a curated farm to escape the factory life and reconnect with the worker’s agricultural background. This mystery of picturesque pastiche was not to be broken one day one. 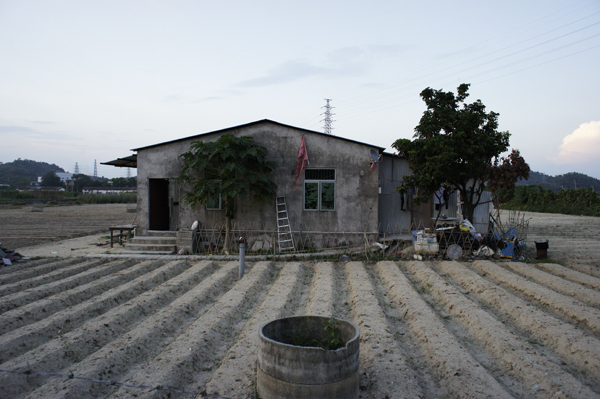 I realised that most of the houses were empty, standing waiting like beach huts in a seaside resort. 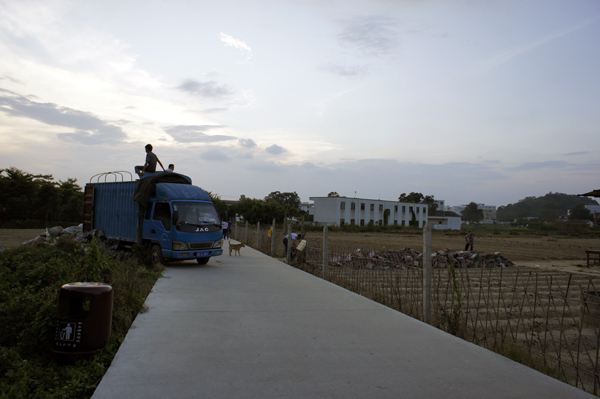 It was sunday evening and the workers returned to their factory dorms. Without any survival dependence on the produces, the play farm would rest for the next break.